The Lost Dragon frees fish hunters from the seas and elevates them to the skies to battle dragons and birds. 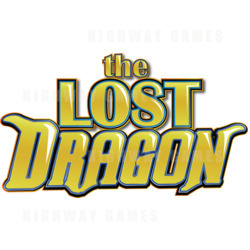 No matter if you are new to fish games or experienced, players of all levels will enjoy The Lost Dragon. The premium quality graphics showing realistic and vibrant river and mountain scenery plus the exotic characters introduce a whole new and exciting element to fish hunting games. The new characters and battle locations are among the notable features of this new fish hunting game. Others features include custom game settings and a great backing soundtrack to the gameplay. The aim of The Lost Dragon is for players to use their gun to shoot as many flying characters as possible before time ticks down. Up to eight hunters can play The Lost Dragon at any one time. Players increase their scores by the number of characters they shoot during the game. The various characters have different odds. The main gameplay of The Lost Dragon is layered with features, plus special characters and weapons that can be used to help players increase their scores.